“95382” or “953S2” was handwritten on what appeared to be the original box. “UHO O7I” is printed on the base of the tube. 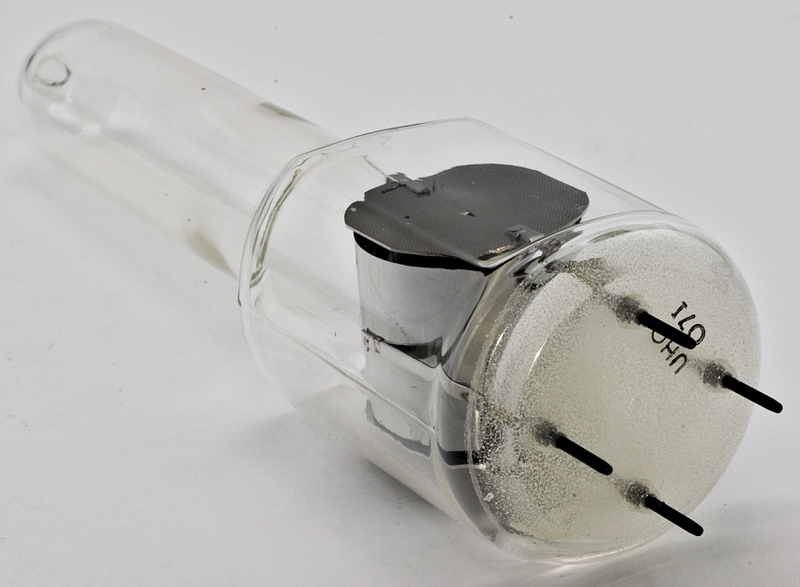 In a cold cathode gauge, positive ions from a discharge bombard an active metal cathode to form secondary electrons. These electrons, constrained by a magnetic field to long helical paths, have a high probability of colliding with and ionizing residual gas molecules. The positive ions so formed complete the cycle by adding to the discharge. 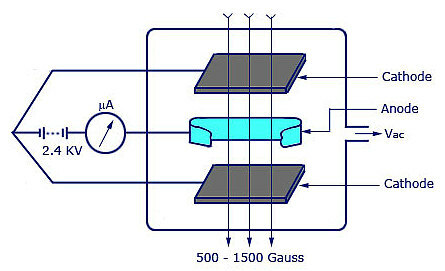 Cold-cathode gauge electronics are very simple, since the ion current at the cathode and the secondary electron current leaving the cathode are large enough to be read directly on a sensitive microammeter calibrated in pressure units. 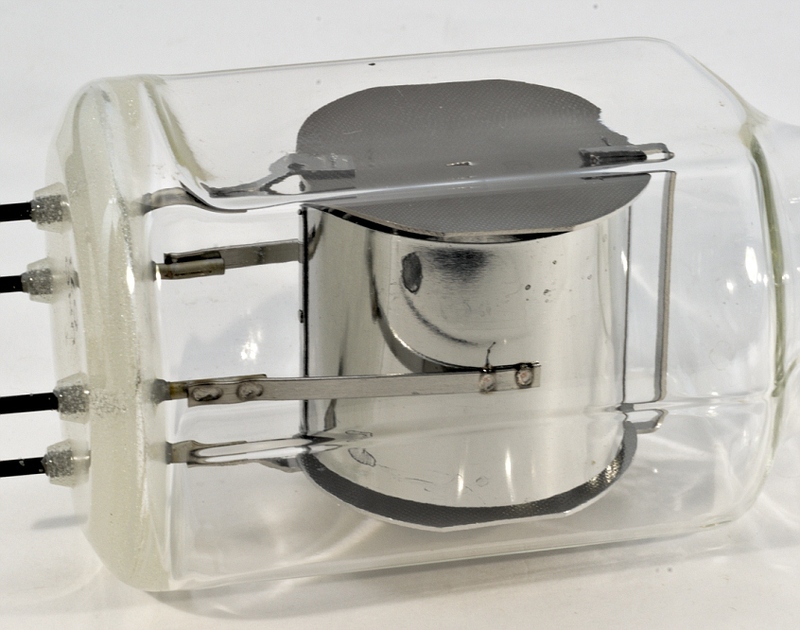 In general, cold-cathode devices are contaminated more easily and are less stable than hot-filament gauges. Penning gauges are not very accurate, but they have three very outstanding advantages. First, it is the least expensive of all high vacuum measuring instruments. 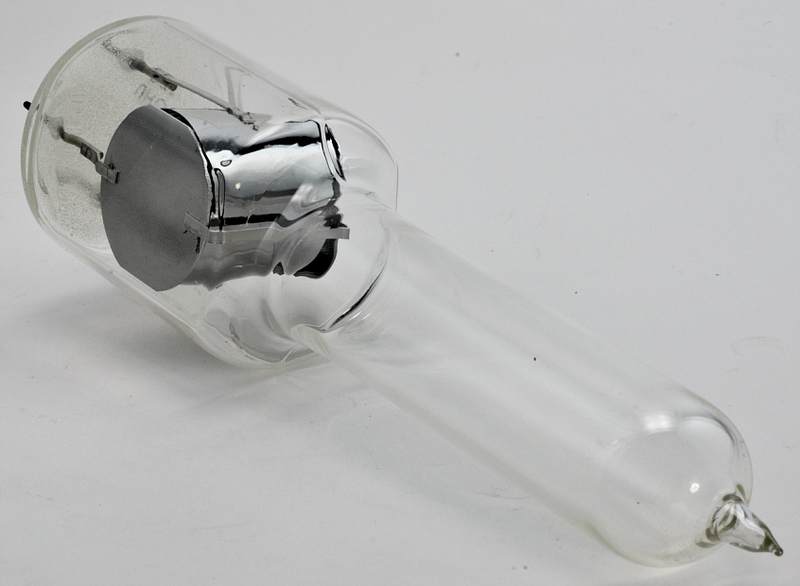 Second, the measuring system is insensitive to the sudden admission of air and to vibrations; and third, the instrument is easy to operate.